Your gift makes a difference in the lives of our Harris-Stowe State University students. 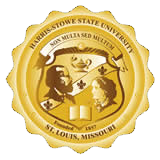 When you support Harris-Stowe, you are giving more than a donation; you are truly INSPIRING CHANGE in the region and beyond. Thank you for your commitment. Click here to read Terms and Conditions prior to donating.